I've taken this blog with me all around the world, so to speak. I think probably one of the coolest things to happen since I've been working on it was meeting Dann Gaymer (nee, Gui Gui Sui Sui nee Gui Gui), a British expat in China, at a concert in Tokyo. If, for whatever reason, you find yourself in Beijing, check to see if he's playing somewhere. Gui Gui Sui Sui's cocktail of dirty blues guitar, punk, and Game Boy music is a heady brew. For Wu Xing, he appears to have expanded his sound by transforming the act into a duet with someone whom I've yet to meet who goes by Susu. Gaymer is pushing his own boundaries by further exploring electronic music -- not something generally found on this blog, but his is enthralling. Wu Xing will be the first of three EPs that explore a pair of characters -- Lord Kamehameha and Lady Chakra [I'm so hoping that this is a Dragonball Z reference and not to the Hawaiian royal family] as they eulogize neoliberalism. If that sounds a bit heady, don't worry about it and dive in -- most of the album appears to be in Chinese anyway. The opening track, "Low Interest Salvation," is a rascally ode that taps into Gaymer's British punk roots. 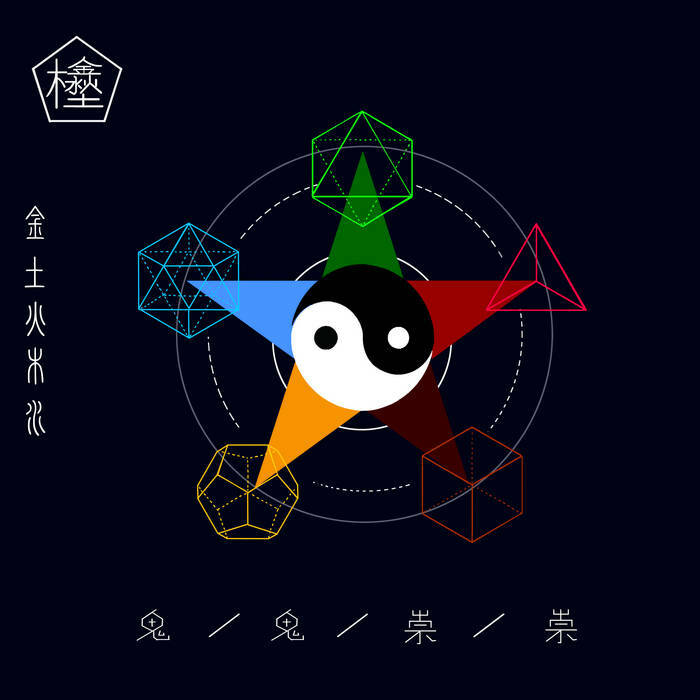 As the album spirals out into more abstract musical realms, it feels to me that Wu Xing invites us to consider the possibilities -- both musical and political -- beyond what we can currently conceptualize.